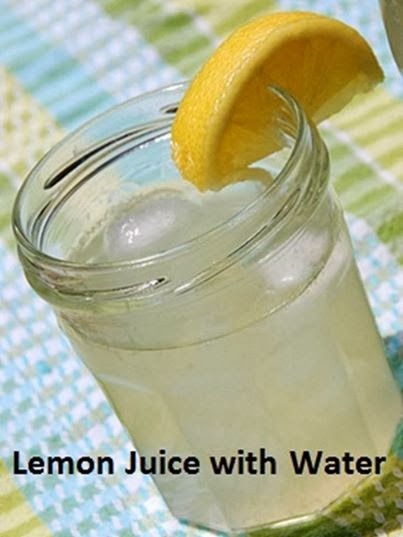 Believe me, I was not much of a water drinker until recently when I started to add lime to my water. Yes, lime, I suppose can't take the Lucian out me. Instead of a slice of lemon or lime, I add a frozen block of lime to my water and drink all day. ... And sometimes, just one frozen lime cube can last at least half a day, since I just refill my glass with water. The lime blocks are so convenient. The idea came to me as a result of me getting tired of using a knife every time I cut a lime in half, and then leaving the other half in the fridge which would dry it out. When I buy a bag of limes, I squeeze the entire pack. Then I pour the squeezed lime juice into ice trays and pop into the freezer. Once frozen, I take a knife to ply out the lime cubes from my trays. 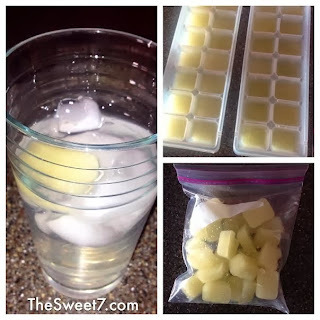 Then, I place all the lime cubes in a ziploc bag and store in my freezer. This takes much less space in the freezer than the trays.